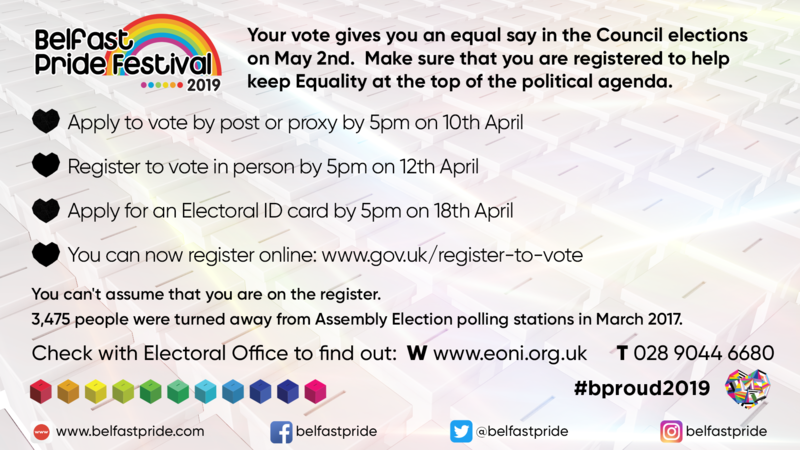 Council Elections are coming up on Thursday 2nd May – your vote matters and can help keep Equality issues at the top of the agenda. It has never been easier to check if you are still on the Electoral Register and you can now register online. All the details and deadlines are shown below so it’s up to you now! NextNext post:Belfast Pride Dates 2019!